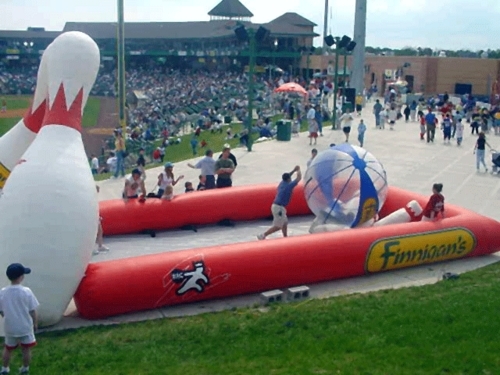 Mississippi Braves fans roll across the outfield and play 'Human Bowling'. 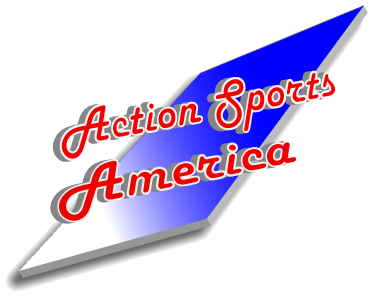 Logos on the panels may encur an additional charge. 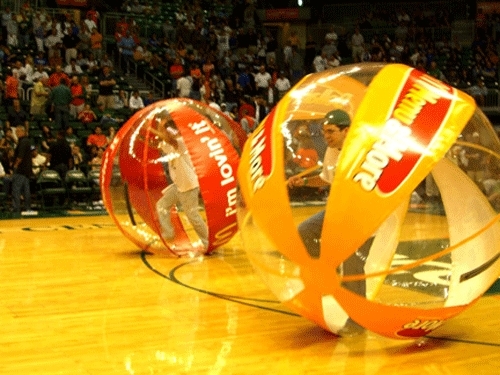 McDonald's sponsored the BIG BALLS races at University of Miami's home games. 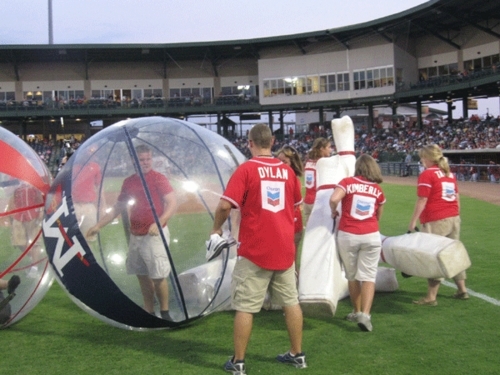 Altoona Curve fans 'strike out' with Human Bowling. 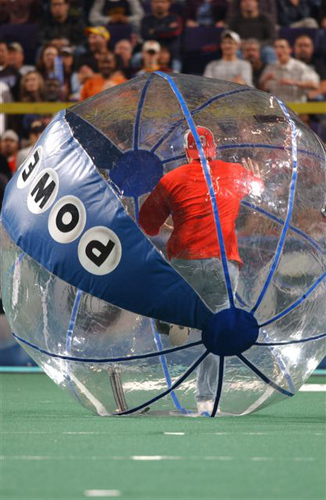 The Lakewood Blueclaws use the BIG BALLS for in-game fun between innings & as human bowling in their family fun zone. Sponsored by a local bowling center and restaurant. 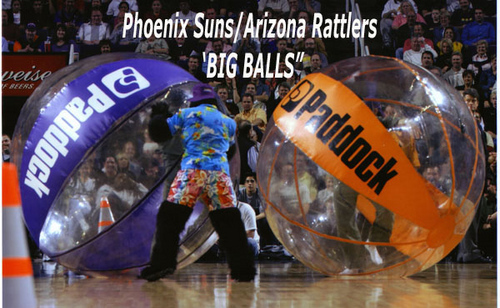 Made for the Arizona State Lottery to activate its sponsorship with the Phoenix Suns and Arizona Rattlers. 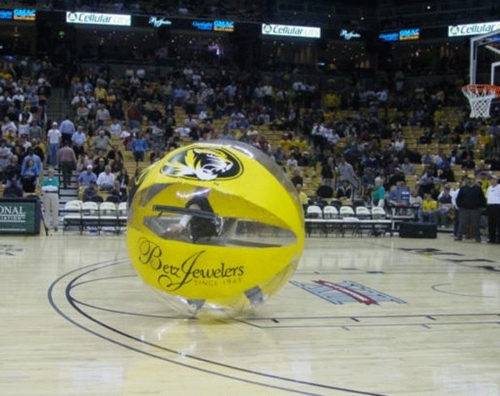 BIG BALLS roll during University of Missouri basketball halftime.. 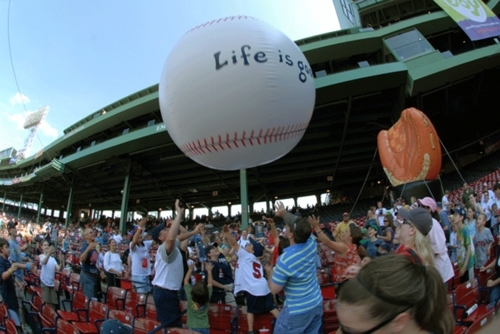 Created for 'Life Is Good' brand's charity event at Fenway Park. 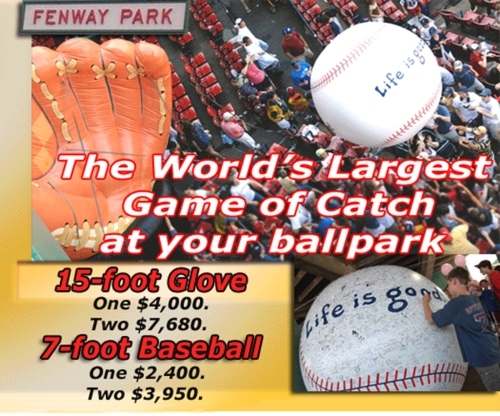 Produced for 'Life Is Good' and its charity event at Fenway Park. Pre-Olympic tour for USA Volleyball. 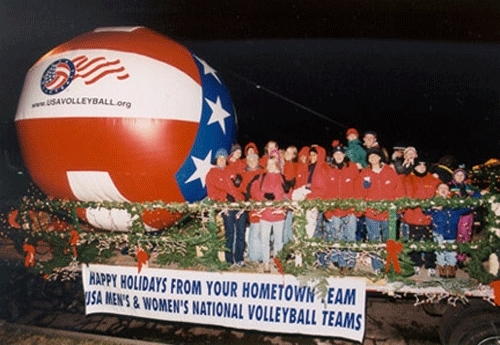 This big inflatable ball was the centerpiece for the NGB's Holiday card. 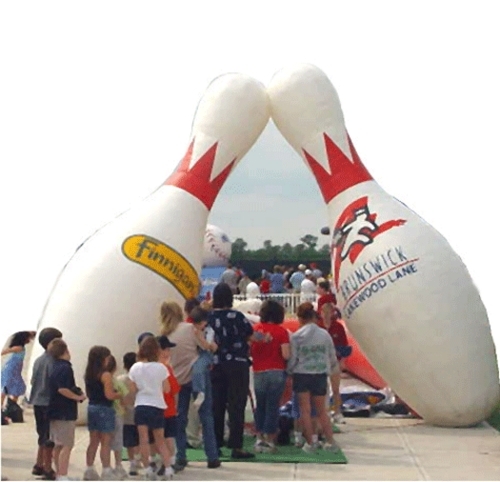 15-foot tall bowling pins on the alley at Lakewood Blue Claws game. 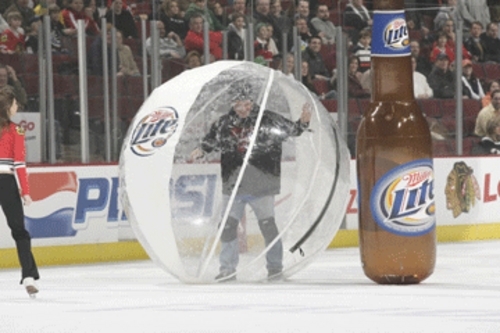 The Chicago Black Hawks and Miller Beer gave the fans a BIG laugh with between-periods BIG BALLS racing.